Amazon has published an online gift guide for the holiday season and for the first time has also sent a paper toy catalog in the mail. We will take a look at the drones that made the list and some of the drones that didn’t. We also have the inside scoop on how products make it on the list. It turns out that it’s not actually top-reviewed products or editors picks that are selected for the Amazon gift guide. Surprise! There’s money involved. 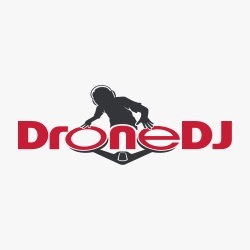 For a complete list of our favorite drones check out the DroneDJ top picks. There are three drones that made it into the Amazon gift guide this year. They range in price from $40 to $1500 and include beginner drones as well as professional products. Let’s take a look at what made the cut. The Mavic 2 Pro ($1499) is the latest compact drone from the world’s biggest drone company, DJI. This Mavic is seen by many as the successor to the larger Phantom 4 Pro (1,799) that came before it. While it can’t zoom like its sibling, the Mavic 2 Zoom (1,249), the camera on the Mavic 2 Pro is top-notch. It has 20 megapixels on a 1-inch sensor and the images this drone captures are gorgeous. We recommend you buy the Mavic 2 Pro direct from DJI. The DJI Mavic Air ($799) is the world’s best travel drone, hand’s down. It certainly deserves a spot on Amazon’s gift guide. Built on the same basic platform as the other popular Mavic models, the Mavic Air is small enough to fit in your pocket. It records 4K video on its 12-megapixel camera, yet it is unbelievably compact when folded. If you are looking for a compact drone, the Mavic Air is the drone for you. You can buy the Mavic Air from DJI or there are some great package deals on Amazon. The Syma X5C ($39) is one of the first drones that I ever owned and it is a great drone for beginners. It is a little odd to see it on the Amazon gift guide considering how old it is. While it packs a camera like the two DJI drones, you can’t expect high-quality footage from this starter drone. That said, it is a blast to fly and it can handle lots of abuse. The Syma X5C has been around for years, so it is missing some of the features of other beginner drones. Drones like the Tello are super stable indoors with optical flow and altitude hold. The Syma, on the other hand, is fully manual. It takes a little more time to learn how to fly this bird. Think of it like learning to drive a manual transmission, it takes some practice but it is a lot more fun than an automatic. Amazon is a great place to buy the Syma X5C. There are dozens of great drones on the market (and even more that are not great). Surely they could have included a few models between $40 and $800 in the Amazon gift guide. Here are three more drones that should have made the cut. The Tello ($99) is the best drone under $100 and it is a real feat of engineering. It packs sensors on it that are typically seen only on drones that are 5 to 10 times its price. It is the most stable non-GPS drone we have ever flown and the smartphone control is the most precise we have tested. You are still not convinced? The Tello has the best-in-class camera as well. Get one for your loved one this holiday season, you won’t regret it. You can buy it from Amazon or DJI. The Fat Shark FPV 101 ($246) is the perfect drone for beginners who are interested in drone racing. It may be a little nitch for the Amazon gift guide, but it truly is a great package. The Fat Shark 101 comes with a high-quality remote and a set of nice FPV (first person view) goggles. The FPV 101 even comes with two racing gates. The beginner mode is tuned nicely for beginner pilots and it has two additional flight modes that help you progress into racing. This is the only racer on our list because it makes a great all-in-one gift. You can get it for about the same price on Amazon and Bangood. Check out our full review of the FatShark 101 HERE. The DJI Spark ($399) is the ultimate drone for people interested in aerial photography but who don’t have the money for the Mavic Air or the Mavic 2. It has the same sensor specs as the Mavic Air, but it uses only a 2-axis gimbal and can only record 1080p full HD video. Don’t worry about the quality of footage that you get from the Spark. I once used the Spark on a professional videography gig when my other drones were out of commission. Shhhh, don’t tell my client! You can shop for the Spark on DJI.com, but there are some great package deals on Amazon. So how do drones make the Amazon gift guide? Amazon used a pretty simple algorithm to decide who made the list. Our source tells us that the list is purely pay-to-play, with Amazon asking vendors for up to $100,000 in order for their product to be featured. If you want actual advice, then we suggest you come to the experts here at DroneDJ. We will be publishing a holiday gift guide soon. Until then, check out our list of the best drones to buy now.